If you are to survive in today's competitive environment, you must have the leadership skills that make you a valued member of your organization's leadership team. 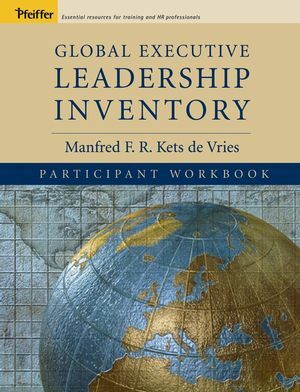 Global Executive Leadership Inventory (GELI) is your in-depth development tool that offers guidance for understanding your leadership abilities and shows you how to take steps to improvement. The Inventory consists of 100 action- and behavior-based questions that are designed to measure your competency within twelve areas: Visioning, Empowering, Energizing, Designing and Aligning, Rewarding and Feedback, Team Building, Outside Orientation, Global Mindset, Tenacity, Emotional Intelligence, Life Balance, and Resilience to Stress. An ideal tool for examining your leadership behavior roadblocks and then taking steps toward improvement, the GELI will serve you as an essential resource on your leadership journey. Manfred F.R. Kets de Vries is a clinical professor of leadership development and holds the Raoul de Vitry d'Avaucourt Chair of Leadership Development at INSEAD. He is the director of the INSEAD Global Leadership Center .